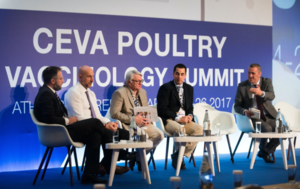 Libourne, 5thMay 2017: During it’s latest Poultry Vaccinology Summit held in Athens last week, Ceva set out its latest disease control solutions and how increased vaccination in the hatchery is improving performance. 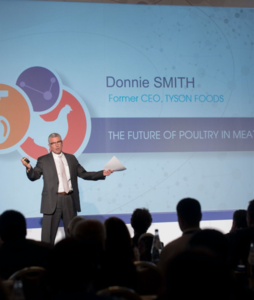 Close to 40% of global poultry vaccination is now in-ovo, made possible by the new generation of vaccines launched in recent years. 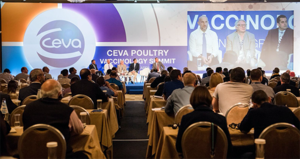 Ceva develops its vaccinology approach by establishing the link between the highest scientific information and the most practical field applications, aiming at addressing the largest challenges of the layer & broiler producers from Antibiotic Free solutions to Performance management. 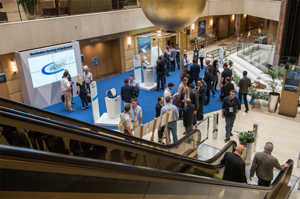 For the first time a specific session on Layers was also proposed to the attendees: covering market trends, production management key and disease control innovations with special focus to Infectious Bronchitis and Cevac IBird.For the broiler producers: an extensive review recent data of real life field application were presented, with up to 0.3€ extra margin per bird contributed by Vectormune ND usage in Europe and extra evidences of stop of Gumboro cycle under field conditions by Transmune. This event was as well the opportunity to celebrate the recognition of C.H.I.C.K. program Quality Code of Practices by Bureau Veritas, recently obtained in South Africa, Spain, & Turkey as well the fast progress made in several other countries expecting soon to be qualified : Philippines, Greece, .... Mr. Jaco Viljoen of Opti Chicks, South Africa said this quality stamp of approval had become “an indispensable part of most chick producer’s operations”. 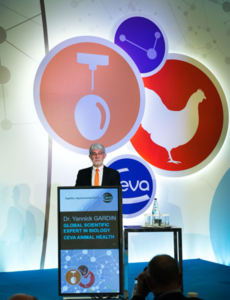 All these innovations are supported by hatchery vaccination equipment, autogenous vaccines and vaccination or veterinary services allows ensuring the perfect control of implementation by poultry producers.